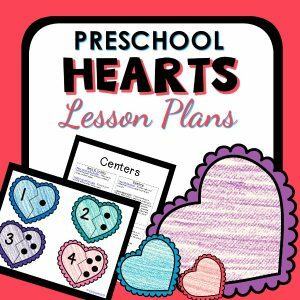 Arts and crafts with simple materials are the best! Today’s project is just that! 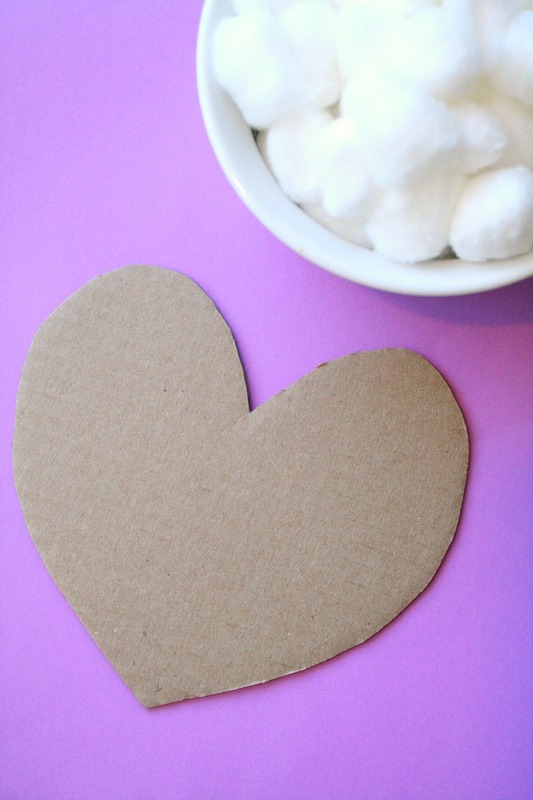 You’ll only need a few basic craft supplies to make this puffy heart craft. Paint them anyway you like. Then use them for Valentine’s Day, Mother’s Day or just because. 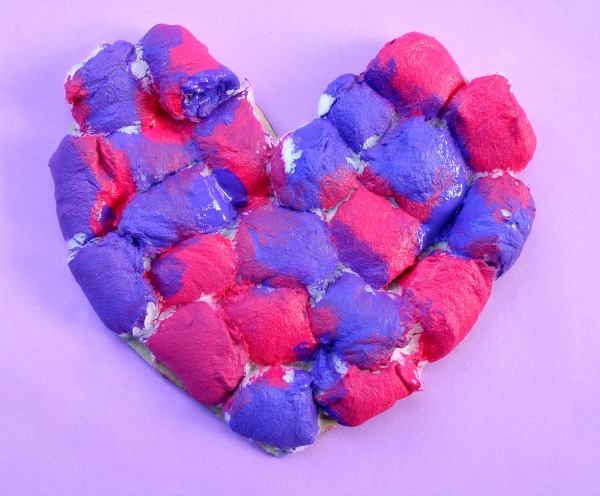 Grab some cotton balls, cardboard, glue, and paint. Cut the cardboard into any shape you prefer. 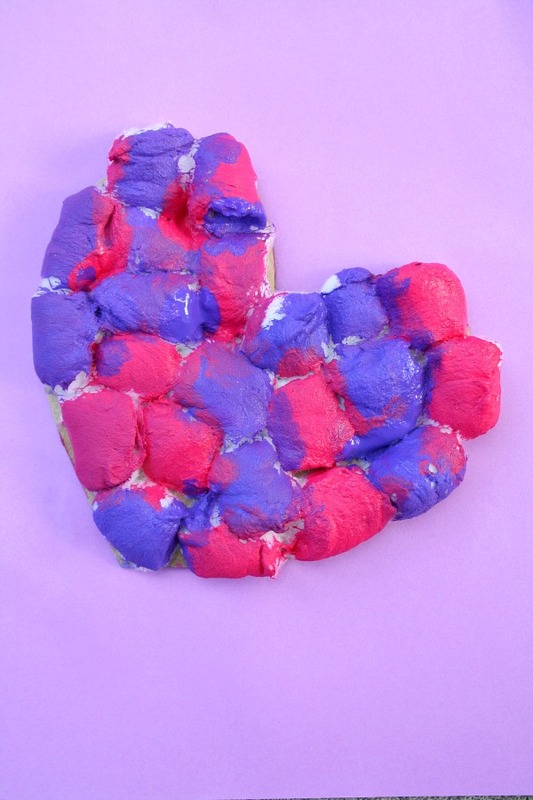 We chose hearts because we’ll be displaying these for Valentine’s Day. 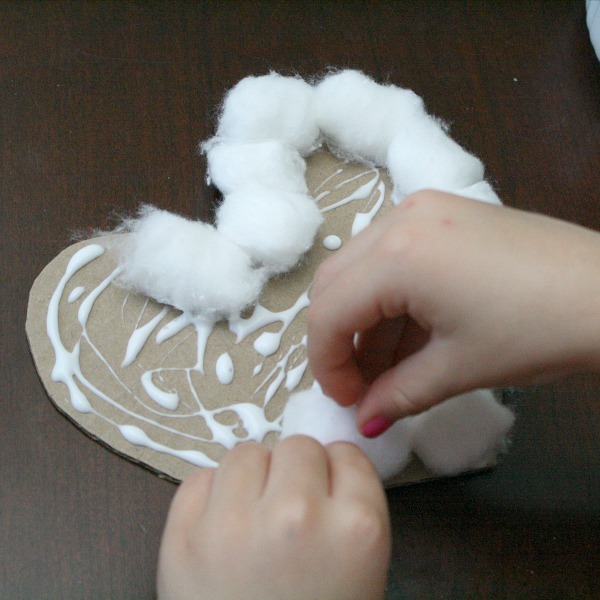 Glue cotton balls to the cardboard. Paint! Tinker took her time to cover nearly every bit of white she could see. 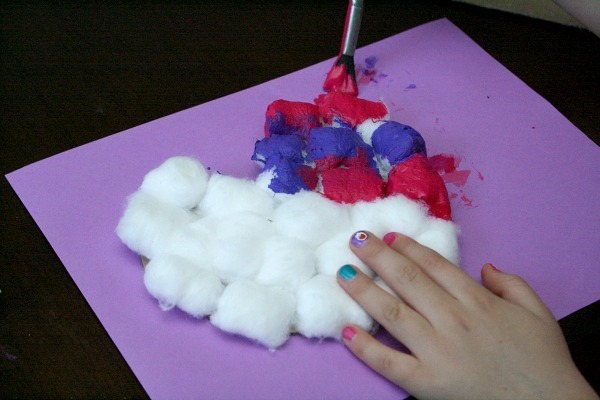 The combination of the paint and cotton balls turns into a really neat texture. Once the paint is dry these are ready to be displayed. We hung ours with our valentine’s crafts from years past. They’d also be fun to give as a valentine. Simply write a note on the back and share with a friend. 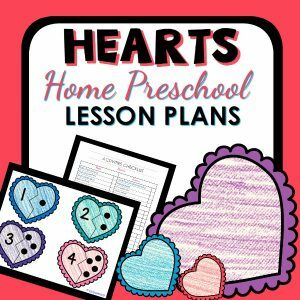 After making these you could also read Heartprints. It’s one of my favorite books to read around Valentine’s Day.